Click here to see our delivery service area. Thank you! We will get back to you within 48 hours with a confirmation and invoice. Our coops are 6.5ft long and 39in high and wide. They are built to fit the needs of 2-4 chickens. 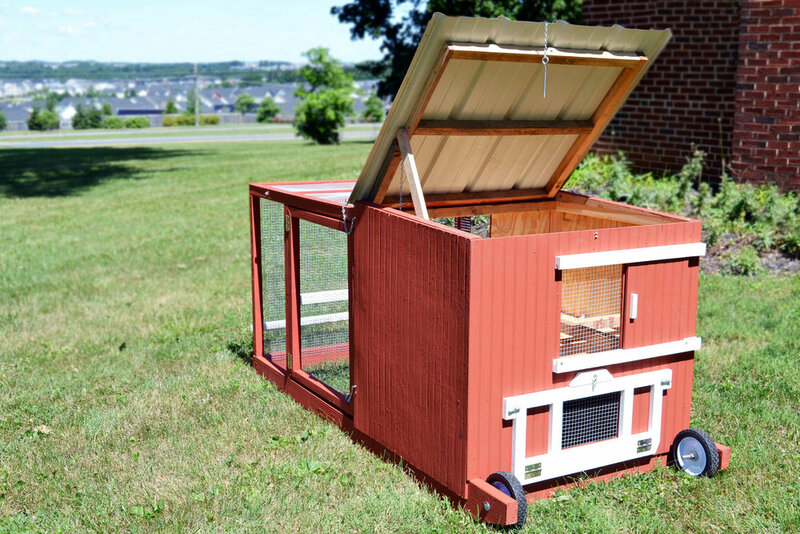 Add a run extension to fit up to 6 hens. Our coops (including all the necessary rental supplies) are easily transported in a variety of mini-vans and trucks. We are eco-friendly and source recycled materials. When available, we recycle wood from pallets. We also use recycled white paint from the Montgomery County Recycle Center, and go to the nearby Habitat for Humanity Restores and purchase recycled locks, hinges, staples and anything else we can find!